Tessitura Taiana Virgilio is going to renew the collaboration with Made in Carcere, a very supporting reality for women in prison. VANITY explores the roots of Como's ultra-high level culture of silk manufacturing; the cradle of Tessitura Taiana Virgilio, from where it draws inspiration to rethink, and extract and recompose things and ideas. The CULT collection for Spring Summer 2020 strongly reiterates, if ever there was the need to, the image of a solo crossing. Off the more beaten and commercial tracks, wind inflates the sails of creativity and taste, heading for virgin paradises and new places to discover. 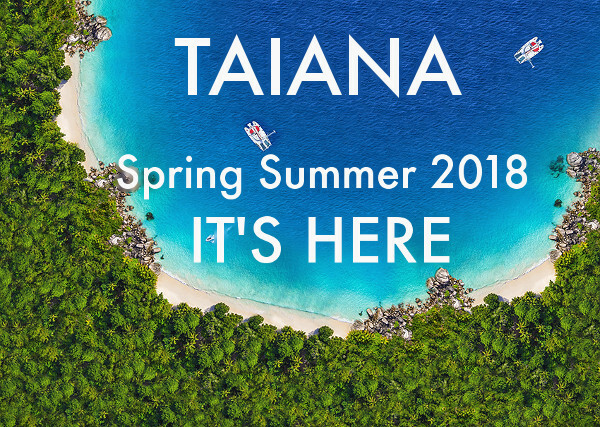 Taiana Cult Fall Winter 2019 collection was born with the idea of both looking afresh at previously viewed spaces and exploring new ones which were never seen before. It is about an harmonic movement, where each single step is needed to become part of a unique orchestral pattern, where everybody plays their own role. Different experiences are moving inside the collection and ‘Green’, i.e. eco-responsibility is playing a starring role. The first part of the collection features cotton with micro-geometries and weave patterns with spot color cuts and raids. Then we get to the very audacious reinterpretation of camouflage with triton-like color effects or ‘now-you-see-now-you-don’t’ weave effects. An excellent study has been performed on weave patchworks playing with 3D-patterns destroyed by scratches and cuts. The cotton ethnic universe is also playing a significant role in its being not ordinary but indeed the result of a painstaking investigation in materials and style. A new era has then come to life featured by a Taiana classic: the New Age item, a key and firm point in their offer, today newly conceived and revised for a recycled version with a classical touch, or also overprinted jacquard. Another House specialty is the marvelous denim offer with overprinted micro-patterns; among new processing techniques ‘needling’ is definitely a kind of technical virtuosity to be explored and well viewed. Tone-on-tone flock is featured by different motifs: from stripes to cashmere patterns. Still within the framework of oppositions, the lacquered fabric stands out with its contrast-motifs. Novelty among novelties is the introduction of a capsule collection, jacket weight or pants with a limited selection of dark patterns and hints of color.